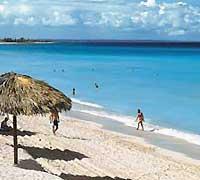 Hotel Islazul Dos Mares is on Varadero beach, at a short distance from important stores and restaurants. This Spanish Mudejar-style hotel is renowned for its privacy and sober elegance. 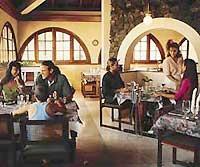 It is a somewhat different, simple and intimate hotel, where you can enjoy your well deserved holiday. It has a sober design characterized by many arches and tiles. Located across from a top-quality beach strip, the hotel’s name, meaning two seas, refers to the 2 arms of sea surrounding the Hicacos Peninsula. Restaurant, 2 bars, Money Exchange, safety box, parking lot and taxis. 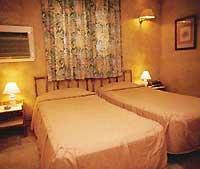 32 Air-conditioned rooms with private bath, telephone, radio and satellite TV.